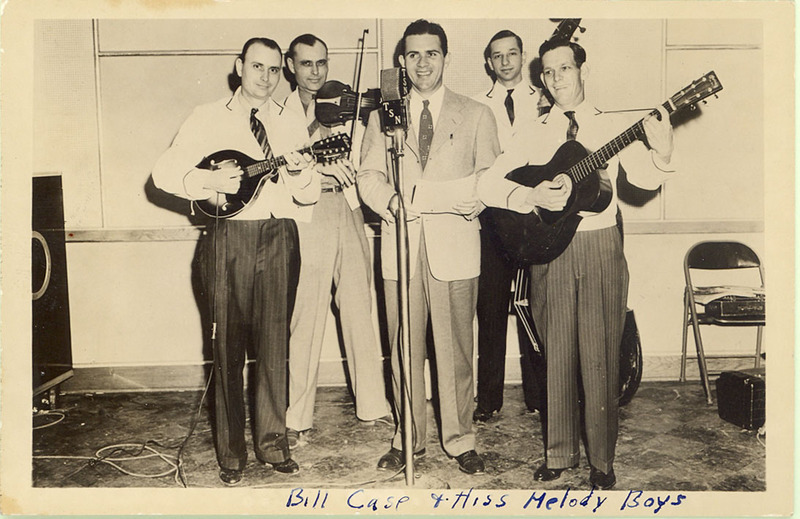 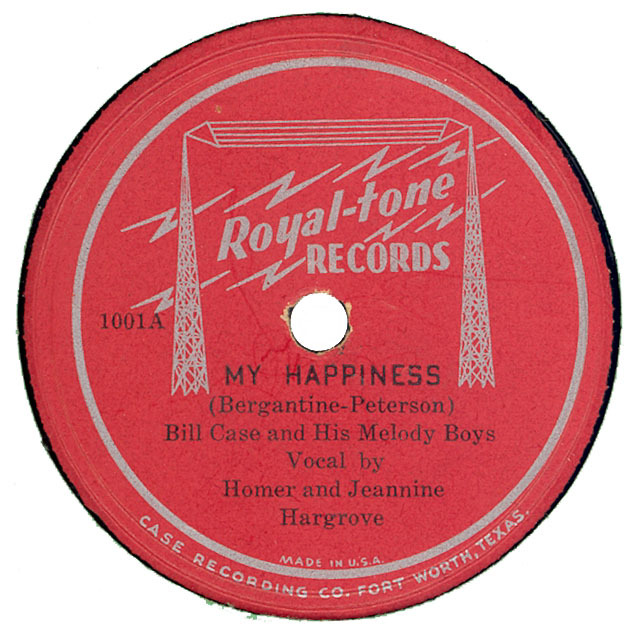 BILL CASE & HIS MELODY BOYS (Left to Right) J. C. Case, Bill Case, Unknown (announcer), Vernon Young, Homer Hargrove. 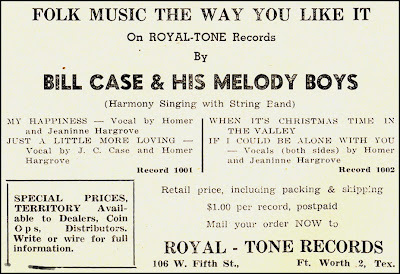 BILL BOYD RANCH HOUSE NEWS November 1948. 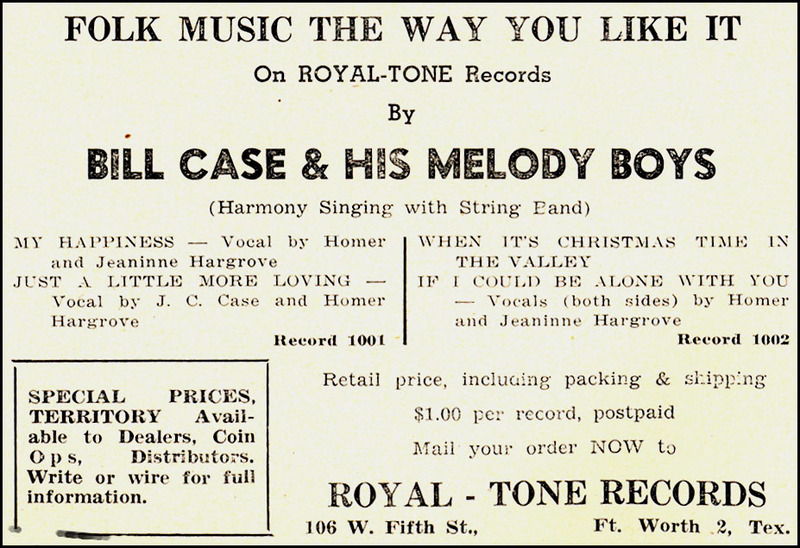 Hear "Just A Little More Lovin'"